Freeze water into a block of ice. Then working with different tools. 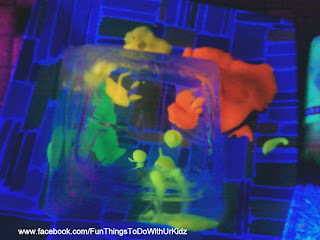 (we choose ice, noen paint, and play tools) try to melt the ice. You do need a black light for this but you can also use glow in the dark paint.